Quiet Creek Herb Farm & School of Country Living Inc. is dedicated to educating all ages about the importance of conservation, ecological thinking and healthful living. Quiet Creek is a 30-acre organic farm located just north of Brookville in Jefferson and Clarion Counties, Pennsylvania. Quiet Creek raises vegetables, fruits, herbs, mushrooms and flowers. 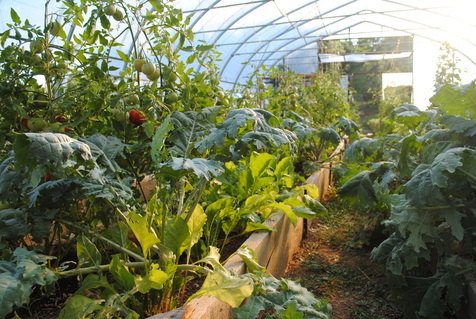 The farm uses only organic techniques when fertilizing the plants, controlling weeds, and managing insects, bacteria, and fungi. Since 1996, Quiet Creek has offered unique and enhanced learning opportunities to over 100,000 public, private and home-schooled students. 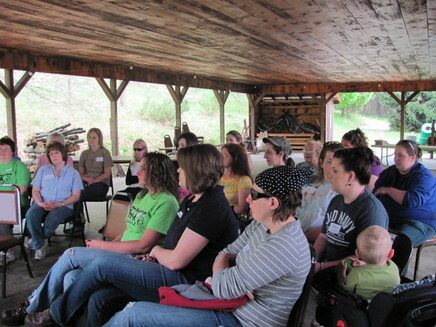 Quiet Creek became a non-profit 501(c)(3) educational farm in 2003 and offers year-round educational opportunities to all ages, preschool through seniors. 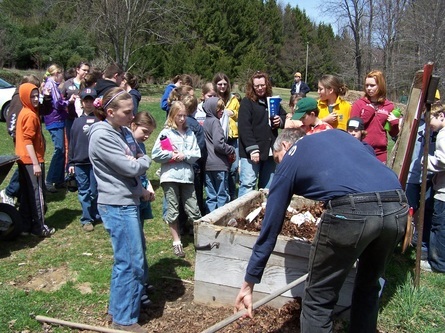 The classes explore sustainability, environmental stewardship and healthy lifestyle choices. 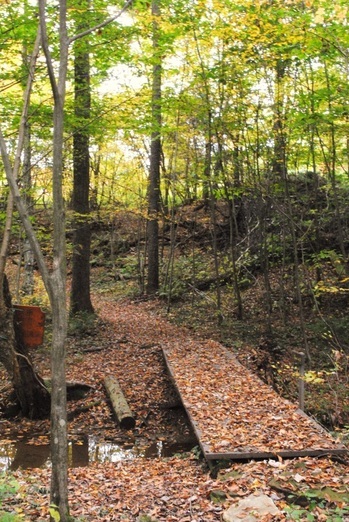 Past programs have focused on whole foods, connections of the soil-food web, growing in all seasons, developing science skills through inquiry, experiment and observation, healthy watersheds, solar/wind power generation, worm composting, integrated pest management, bread-making, soap-making and more. Claire and Rusty Orner have been stewards of Quiet Creek since 1996. Combined, the Orners have over 40 years of teaching experience and 60 years of organic farming experience. Quiet Creek programs reach students in all their different modes of learning. Activities are designed to engage all five senses and provide opportunities to be physically active and interact in groups. 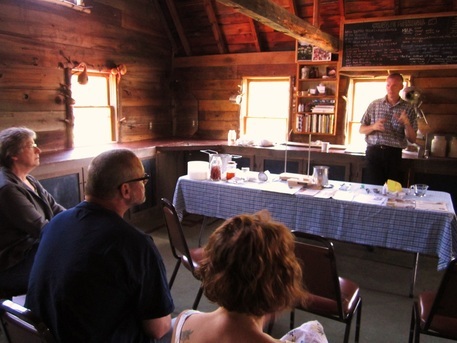 To create these experiences, the farm has many exhibits and facilities available. 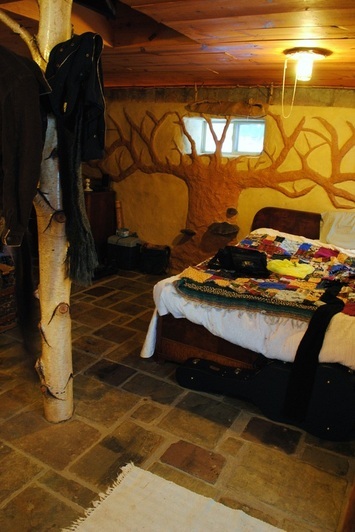 herbs, tinctures, salves, books, essential oils, etc. Two Hi-tunnels and outdoor growing space of over 50 raised beds. Produce includes vegetables, fruits, flowers, mushrooms and herbs. There is also a twenty-foot arbor surrounded by blueberries, raspberries, apple and pear trees. 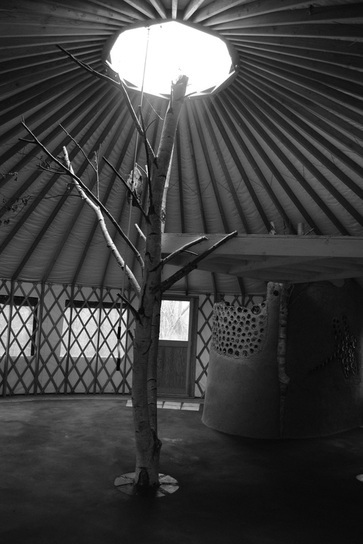 A 30-foot diameter yurt and earthen bench community circle are available for reflective learning as well as hosting classes. Outdoor pavilion accommodating more than 150 students for hands-on or lecture-style learning and organic dining. At times this is the location of an educational movie night or the very location for our Kids Theater Camps performance! A recycling, composting and worm composting program is in full operation to reduce, reuse, rot and recycle all farm wastes and student lunch leftovers. Students learn about their role in managing the waste stream. A surface water stream, wetlands, and ground water spring provide the setting for physical, chemical and biological watershed monitoring and exploration. 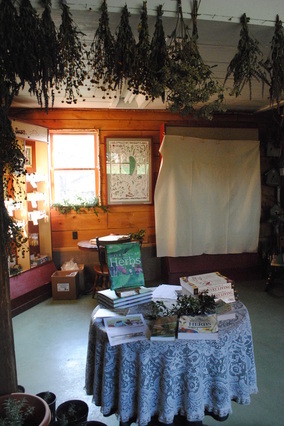 It also provides a classroom to teach kids and adults about some of the local plants and mushrooms. 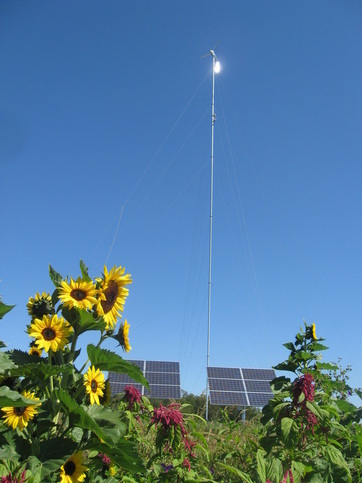 Quiet Creek generates the majority of electrical power with a 2.5kW wind turbine and 2.6 kW solar cell array accompanied by a weather station and online software to visually chart power generation data. 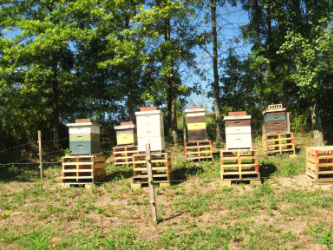 Ten outdoor hives provide the farm with excellent pollination to produce fruit from our crops. You can purchase honey from our shop!